While writing this post, my eyes are constantly drifting towards a creepy spider that is measuring the length of the door of my room. Among all the species of house spider, it looks like Tegenaria Domestica. Although, It doesn't matter, how much we despise spiders, we must agree upon the fact that these insects are fascinating creatures in many ways (not by looks of course). For me, spiders are the best web designers. Yes, I'm talking about those intricate and delicate spider-webs or cobwebs hanging around the corners or unattended places in a house. Their artwork is beyond praise. Apart from that it's their locomotive skills that are just insanely amazing. Amazing to the extent that scientists and engineers are very interesting in the whole mechanism and doing some research that might be useful for robotic movements. Fastest spider of size 0.59 inches can move at the speed of 1.73 ft/s. The highest jumping spider can jump upto 25 times of its length. Some spiders are venomous but to give you relief house spiders are not. Or their venom is not strong enough to cause complications. Spider's silk strength is not greater than steel. It's just a myth. But it does have great tensile strength closer to steel. While walking, two pairs of legs of spiders are on the ground and two are in the air and they keep on alternating the four pairs. 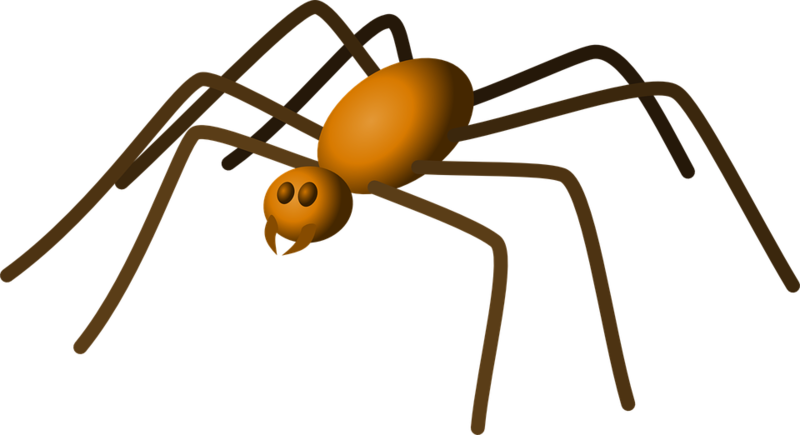 The tiny hair on the legs of spiders are very sticky that help them to climb vertical surfaces very easily as well. Being arthropods, spiders have segmented body i.e. front part and rear part. Front part is called prosoma or cephalothorax and consists of head and thorax which are fused together. 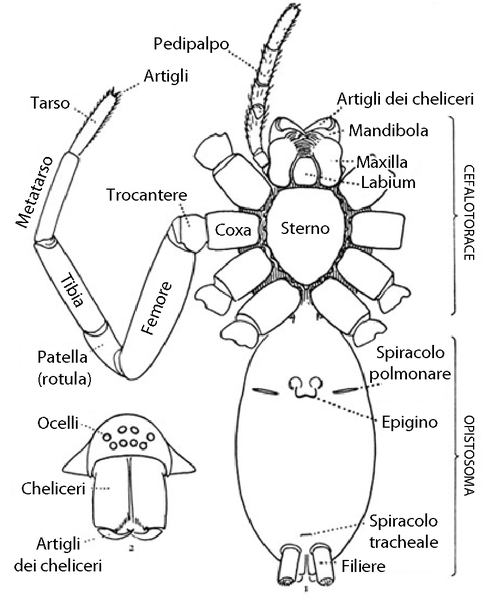 Rear part is called abdomen or opistosoma and is connected to cephalothorax with cylindrical shaped pedicle. You can see there are no antennae on the head unlike other insects. But then actually spiders are not insects. These are arachnids. Scorpions and mites belong to the same group. Heart is located in the abdomen's upper part. Having an open circulatory system, spiders do not have actual blood or veins. Instead they have haemolymph which is pumped by the heart through arteries. Their heart is a tube-like organ (not chambered) having Aorta which transfers blood to cephalothorax (the front part). These are famous for eight legs, unlike other insects which have six. A spider's leg is segmented into seven parts i.e. coxa, trochanter, femur, patella, tibia, metatarsus and tarsus. As you can see in the picture, trochanter acts a hinge for the remaining leg. Patella is also a hinge for tibia and tarsus is kind of a foot. 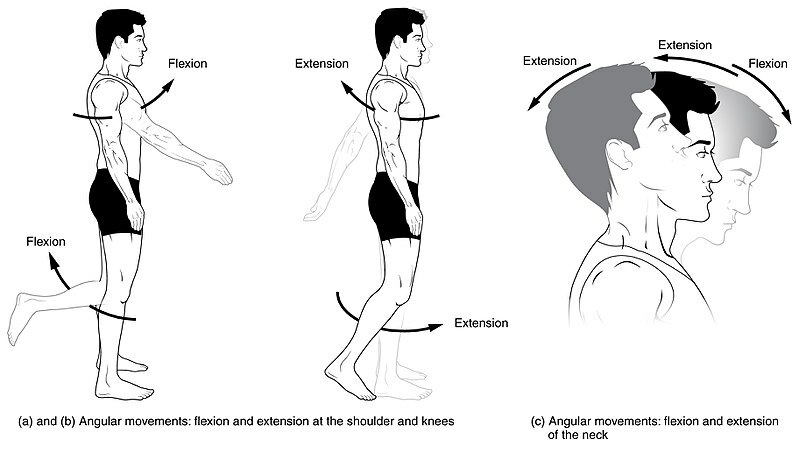 We use extensor and flexor muscles to move our legs or arms or other specific body parts. Extension and Flexion of muscles are basically angluar movements between two parts of the body that are joined together. Flexion is the decrement of angle between those two parts and extension is the increment of angle. Arthropods move according to the same concept but spiders do not. They have extensor muscles but they don't use those. Actually, spiders are exoskeleton ( no regular internal skeleton) which means they are hard from outside and lighter in weight. Not having bones inside, make their muscular functions a bit different. That might be the reason of not using extensor muscles for leg movements. How do the Spiders move then? Spiders use hydraulic pressure for such movements. Before talking about how and why hydraulic pressure is used,let's be clear about it first. (Below is the simple definition for non-physics people ). What is a hydraulic pressure? This pressure results due to an existing property in liquid, which is called compressibility. Liquids are incompressible, so they transmit force accross their molecules to the surrounding or contacting area. As I have mentioned before that spider's heart is located in the abdomen. Haemolymph is pumped through heart and passed through arteries into the cephalothorax which regulates the hydraulic pressure. 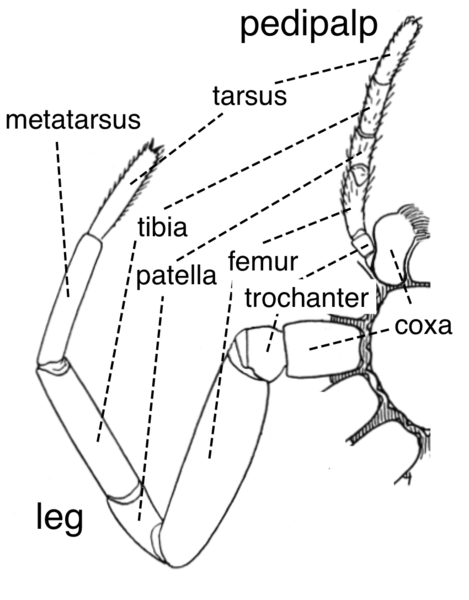 And what's interesting is that all the legs of a spider are attached to cephalothorax. So the hydraulic pressure of haemolymph that exerts on legs, help it to extend its legs. At the resting state, spider's legs naturally flex inward. But when they try to move, hydraulic pressure helps to extend the legs. Dead spider's leg curls up because supply off haemolymph stops into the legs and as a result of it legs curl inward into natural flex state. The movement of the legs are very interesting. Currently, some researchers are trying to study that. They have a pet-spider named Kim which is being experimented upon given different scenarios. When given a target at short range, Kim moves/jumps accurately and with intensive force towards it. When given a target at long distance, Kim doesn't make an accurate jump but still there is efficiency. Kim doesn't try to prey on a target which is beyond a particular distance. Not that it can't jump that far, it can jump beyond the prey. The reason is that it's eyesight fails her at that point. So it simply ignores that situation or probably doesn't know or can't see that the prey is in within the limits of her jumping range. Kim makes optimal decisions while preying at a target. Means, it makes low trajectories for shorter distance targets, ending in higher exertion. And for longer distance targets, it make large trajectories, resulting in low exertion. Kim can jump six times its body length. It uses hydraulic pressure for that but it could use its extensor muscles to achieve that too. One theory is that it does use extensor muscles but for boosted effect it uses hydraulic pressure as well. That part is still a bit unclear. What do you guys think about that? Biomimicry is the designing of models that are similar to biological or natural creatures or imitation of biological models to solve complex human problems. Searching a debris or pile of something in seconds. These robots could be sent into unknown and non-human-friendly environments to gather information or to carry out tasks that would be impossible otherwise. So far we have not much success into mimicking spiders. Experiments are still going on. Let's see if we get some good news on some achievement soon or not. Meanwhile, I want your opinion on the topic. Could we ever be successful to surpass nature or even be able to imitate it? Very interesting post man , Keep it up ! Please don't give such comments. Otherwise you will get flagged.